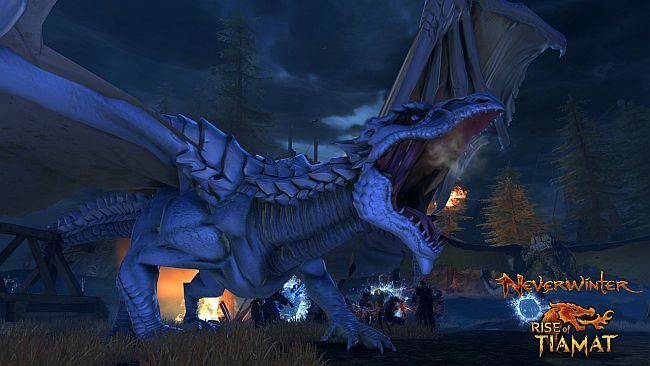 Continuing the ongoing war between players and the Cult of the Dragon, Perfect World Entertainment Inc., a leading publisher of widely-acclaimed free-to-play MMORPGs, and Cryptic Studios announced Neverwinter: Rise of Tiamat – the newest module for the action MMORPG based on the Dungeons & Dragons franchise. Leading to the culmination of the Season of Dragons, Rise of Tiamat follows the events of the fourth Neverwinter module – Tyranny of Dragons – and the Siege of Neverwinter event. As the Cult of the Dragon look to resurrect the five-headed draconic goddess Tiamat from the Nine Hells, adventurers must band together to prevent the catastrophic takeover of the city of Neverwinter. Neverwinter: Rise of Tiamat complements the storyline in the new tabletop adventure module from Wizards of the Coast, allowing for even more fan interaction with the world’s greatest roleplaying game. The upcoming module also brings a new paragon path for the recently released Scourge Warlock class, bringing additional play styles in both solo and group play for the new class. High level players will also have the opportunity to gather additional pieces of artifact gear as they prepare themselves for a massive battle against one of Dungeons & Dragons most fearsome villains.